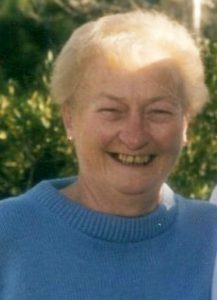 Sharon Peele Ludwick, 76, a native of Hatteras, passed peacefully in her sleep surrounded by family on December 24th2018 in Cocoa Florida. She was a cancer survivor and had been battling dementia/Alzheimers for several years. Daughter of the late Frazier and Viola Peele, Sharon is survived by her husband of 56 years, Carl Ludwick and 3 Daughters: Heidi Sibert (Donald), Patricia Whyte, Angelia Ollerman (Andrew). 5 grandchildren: Michael, Henry, Virginia, Jennifer, and Alexander. She also leaves behind 3 great grandchildren and many nieces, nephews, and cousins. Donations to the American Cancer Society or to the Alzheimer’s Foundation in Sharon’s memory are appreciated by the family. A Celebration of Life service will be held in Hatteras in June.